Fearghal O’Nuallain teaches and explores. He is an honorary member of the Scientific Exploration Society, a fellow of the Royal Geographical Society, and the recipient of the prestigious Land Rover Bursary. 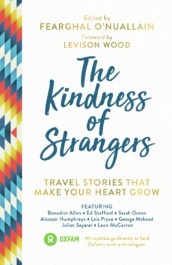 He is the founder of The Water Diaries and co-founder of Kindness of Strangers, to use stories to engage with our most precious resource and to share stories that make your heart grow. During term time he can be found teaching Geography at a South London comprehensive.